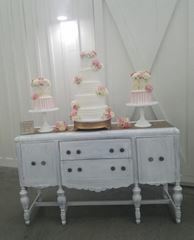 Looking for a beautiful piece for your dessert display or wedding cake? 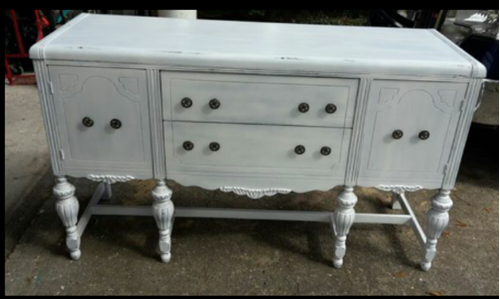 We have two antique buffets to choose from. The Whitney antique buffet table is our shabby chic white one. Need a darker natural wood one - see also the Madeleine buffet.